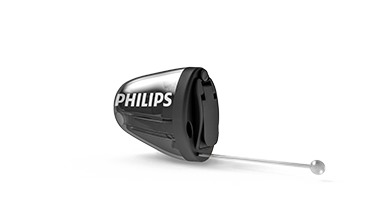 Phillips is an instantly recognisable brand who has been active within health care for many years. 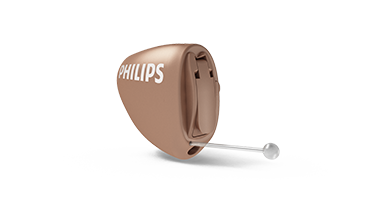 Originally, Phillips had a hearing aid division which provided hearing aids that were of high quality with outstanding reliability. In fact, some of their devices were recognised as being well before their time. They decided to leave the hearing aid market many years ago, but it seems that they have never forgotten their legacy. In 2018, they announced a licensing partnership with Demant, the owners of Oticon, Bernafon and other brands. 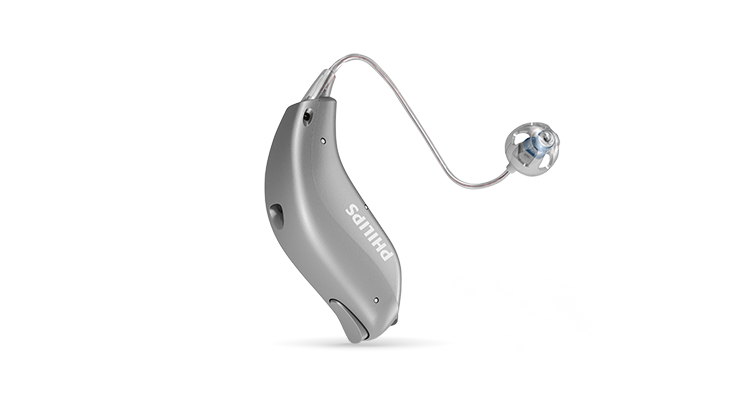 In April 2019, that partnership came to fruition with the introduction of their new Hearlink range of hearing aids. 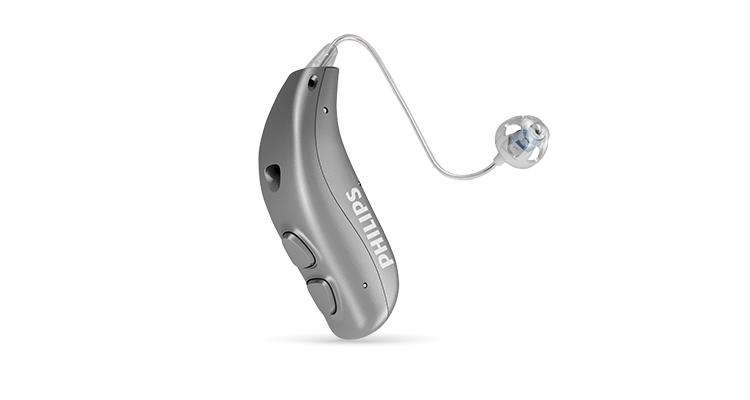 The devices are branded Phillips but use Demant hardware, so if you are familiar with Oticon or Bernafon hearing aids you will immediately see the similarity. 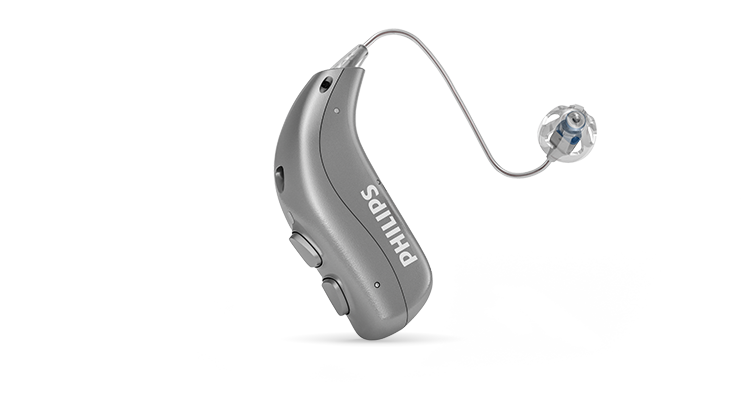 However, Phillips are using some interesting audiological strategies and features. It will be interesting to see what happens with this brand moving forward, will they re-open their hearing aid division proper, will they open their research and design division and be happy with Demant delivering hardware? Those are all questions that will remain unanswered for some time, however, the instant brand recognition of the Phillips name will lift the brand into the big player field pretty quickly. Let's take a look at what's available. 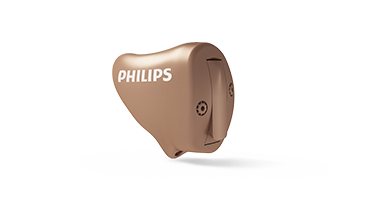 Hearlink is the name of the new hearing aid range from Philips. As I said, the devices will be available in four behind the ear devices and three custom devices. The range is Made For iPhone and all of the devices apart from the invisible in canal and the completely in canal will be able to directly connect to Apple products. The range will be available in five technology levels which is not unlike the Bernafon set up. The top three levels will have the premium features available in differing parameters. The bottom two technology levels use the same chipset but will have more basic features. The features themselves are interesting. They say that their new entry into the hearing aid market uses two key technologies - SoundMap and SoundTie. SoundMapis the management system of the devices and creates the sound of Philips HearLink. It amplifies voices and makes them clearer in difficult environments by reducing the noise. It also ensures that the sound details are audible. SoundTie is the name of the connection technology they are using, it connects Philips HearLink hearing devices and their users to the outside world. It makes activities like watching TV easier and more enjoyable. SoundTie also provides intelligent interaction with smartphones and helps HearLink users stay connected with distant friends and family. The SoundMap technology in Philips HearLink is made up of three sound processing pillars: noise control, amplification, and feedback cancellation. They say that these three core technologies feature best-in-class innovations. SoundMap Noise Control is the name that they have given to their combined noise control system. It consists of directionality using two microphones where possible and a noise reduction feature. They say that the system uses a unique twin-microphone noise estimation to ensure better access to speech information, even in noisy social environments. In essence, they say that the noise estimation ensures that they don't over compress the speech signal ensuring that it remains audible. SoundMap Amplification is an interesting feature, it changes the amount of compression applied to speech based on the noise that is present. They say that once the signal is cleaned, it is transferred to SoundMap Amplification where compression takes place to ensure audibility of sound details. Here, an additional noise estimate is used to adapt the compression ratio to the noise level and better preserve speech information in noisy environments. 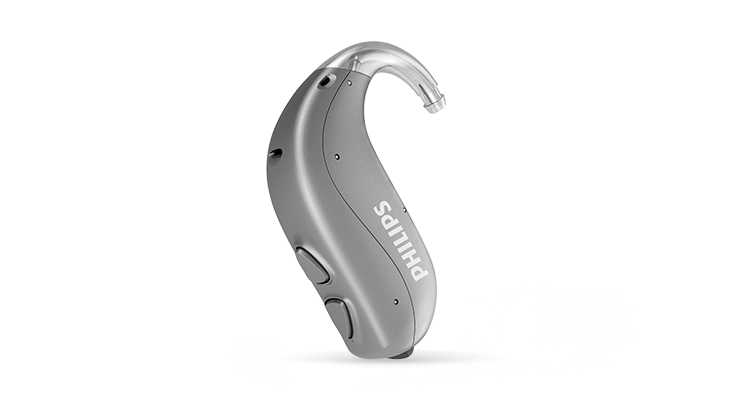 SoundTie is a fancy name for the connectivity protocol used in the new Hearlink range, like other hearing aid brands it uses dual-core 2.4 GHz Bluetooth® Low Energy technology to connect Philips HearLink to virtually every smart device. Philips HearLink is a Made for iPhone®, iPod®, iPad® hearing instrument. Users can connect their iPhone calls directly to their hearing instruments or calls from their Android™ phones via the Philips AudioClip accessory. SoundTie also allows Philips HearLink users to stream music, TV and radio directly from their iPad, iPhone and iPod, or from sound systems and TVs via the Philips TV Adapter. Philips HearLink hearing aids can also be used with the “If This Then That” (IFTTT) network to Internet-connected devices and services (i.e. “the Internet of Things”). I still think that this is a great feature and as connected devices grow it will represent a new range of possibilities about how hearing instruments can fit into users’ lives – for example, connecting to home security and lighting and delivering reminders to take medication. The more this connectivity develops, the more it makes users’ lives easier and creates a safer and healthier living environment. The Philips HearLink app gives users the opportunity to easily and discreetly control their hearing instruments directly from their smartphone. The “Find my hearing aids” function helps users locate their hearing instruments when not worn. They can also control the volume, change their listening program, check their battery status and more. We would expect the Phillips Hearlink miniRITE range to be sold at prices from £700.00 to £2200.00 in the UK depending on the level of technology. We would expect the range to be sold at prices from €800.00 to €3000.00 depending on technology level in Ireland. We would expect the range to be sold at prices from $1000.00 to $3200.00 depending on the level of technology in the USA. We would expect the Phillips Hearlink miniRITET-R range to be sold at prices from £700.00 to £2200.00 in the UK depending on the level of technology. We would expect the range to be sold at prices from €800.00 to €3000.00 depending on technology level in Ireland. We would expect the range to be sold at prices from $1000.00 to $3200.00 depending on the level of technology in the USA. We would expect the Phillips Hearlink miniRITE T range to be sold at prices from £700.00 to £2200.00 in the UK depending on the level of technology. We would expect the range to be sold at prices from €800.00 to €3000.00 depending on technology level in Ireland. We would expect the range to be sold at prices from $1000.00 to $3200.00 depending on the level of technology in the USA. We would expect the Phillips Hearlink BTE PP range to be sold at prices from £700.00 to £2200.00 in the UK depending on the level of technology. We would expect the range to be sold at prices from €800.00 to €3000.00 depending on technology level in Ireland. We would expect the range to be sold at prices from $1000.00 to $3200.00 depending on the level of technology in the USA. We would expect the Phillips Hearlink IIC range to be sold at prices from £700.00 to £2200.00 in the UK depending on the level of technology. We would expect the range to be sold at prices from €800.00 to €3000.00 depending on technology level in Ireland. We would expect the range to be sold at prices from $1000.00 to $3200.00 depending on the level of technology in the USA. We would expect the Phillips Hearlink CIC range to be sold at prices from £700.00 to £2200.00 in the UK depending on the level of technology. We would expect the range to be sold at prices from €800.00 to €3000.00 depending on technology level in Ireland. We would expect the range to be sold at prices from $1000.00 to $3200.00 depending on the level of technology in the USA. We would expect the Phillips Hearlink ITC range to be sold at prices from £700.00 to £2200.00 in the UK depending on the level of technology. We would expect the range to be sold at prices from €800.00 to €3000.00 depending on technology level in Ireland. We would expect the range to be sold at prices from $1000.00 to $3200.00 depending on the level of technology in the USA. The Audio Clip will allow you to stream the sound from any modern smartphone, tablet or computer directly into your hearing aids. Low energy use and a microphone for capturing your speech make your hearing aids into a wireless headset with all the benefits that come with the hands-free experience. High-quality audio capability lets you stream stereo music from any of your devices straight into your ears. A richer sound with more details delivers a quality experience that is less strenuous to listen to. The Audio Clip also functions as a remote microphone, which means you can give it to someone who is speaking and then hear their voice clearly and directly in your hearing aids. Ideal to help you hear better in more complex situations. The device will also offer remote control functionality as well. You can use your Audio Clip as a remote control. That means that you can control the volume of your Hearlink hearing aids, switch programmes, and turn them on and off remotely. The Phillips TV Adapter will allow you to connect any TV or audio source directly to your hearing aids using low power technology. The sound is fantastic and it won't drain your battery outrageously. The Phillips Remote is a handy pocket size remote with volume control and programme buttons.